Heat about 1" of oil in a heavy small pan or deep fryer. Place the mochi in the hot oil and deep fry until golden and the mochi puffs up. Remove and drain on paper towels. Combine the shoyu, water and daikon in a small bowl. 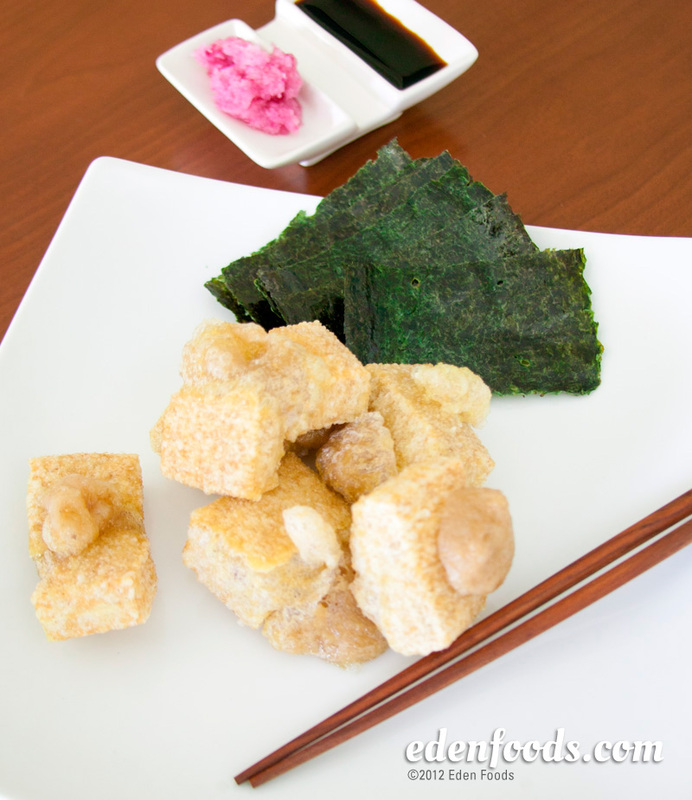 Tear the nori into four equal size pieces and wrap around each piece of mochi. Dip the nori wrapped mochi pieces into the dip sauce and eat while hot. VARIATION: 1/4 tsp. finely grated ginger or 1 tablespoon finely grated red radish can be substituted for daikon in the dip sauce.